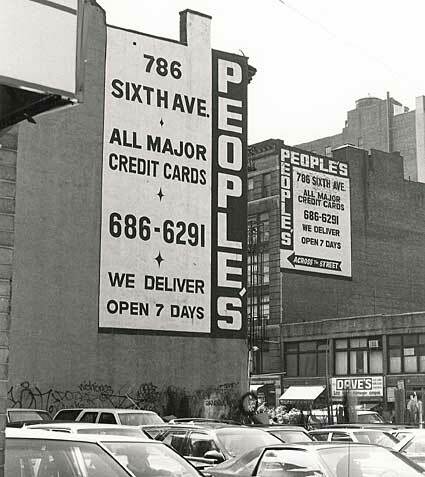 People's Flowers relocated from W. 27th St. to 792 6th Ave. in 1944. Their address changed to 786 6th Ave. around 1980. So these signs probably date from that time.